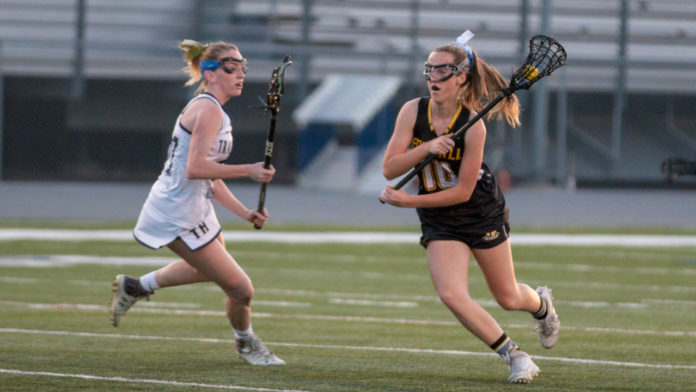 The undefeated Foothill girls’ lacrosse team (6-0) garnered 11 of the 18 first-place votes that were cast this week to dislodge St. Margaret’s (4-2) from first place in this week’s coaches poll. The Tartans dropped dropped to no. 3 behind Mater Dei (5-2). Santa Margarita’s victory over St. Margaret’s helped them close the gap on the top 3, but the Eagles are still no. 4 ahead of Trabuco Hills. Further down the ladder, JSerra made a grand debut, jumping from unranked to no. 12. Woodbridge, Edison and Great Oak were also part of the Top 20 makeover.